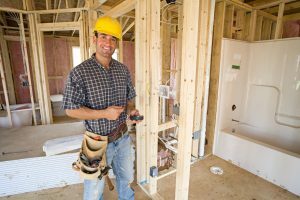 Want to know more about Builders? Builders offers materials and/or services to complete your project from top to bottom, inside and out. More importantly, we’ll provide a knowledgeable account manager with whom you will work with from start to finish. We are very proud of our team. Their collaborative efforts make each customers project go as smoothly as possible for the entire project. Our manufacturing facilities use the latest technology for speed and accuracy, as well as using quality materials. As our company grows so does our team. 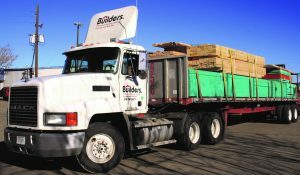 Builders has several members that have worked in the industry for many years. Their experience ranges from swinging a hammer, drafting and design work, to managing their own crew. We set ourselves apart from the competition by hiring knowledgeable team members and providing them with on-going training. The ability to understand our customer’s challenges is one of our many strengths. Because of our in-depth knowledge of the industry we are able to troubleshoot obstacles before they can occur on site. We take pride in the integrity and values that make us a premier company. First, we know the value in loyalty, loyalty to you our customer, and our customers to us. We know you value our ability to answer questions, voice concerns, solve problems, and to take action quickly. Second, we believe in reinvesting in the community. 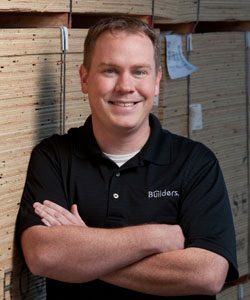 Builders donates 10% back into our local communities and youth education. We are also proud supporters of the Wounded Warriors Project, and Homes For Our Troops. Third, we are more able to meet individual customer’s needs, especially to our “pro” customers- local contractors whose profitability can depend on how fast we respond. Lastly, we host many events year around. Events are a great way to build relationships with our customers and our community. In general, events are an opportunity to have fun, get to know each other, raise money for a good cause, or just to celebrate the season! To Be Committed to Exceeding Customer Expectations. 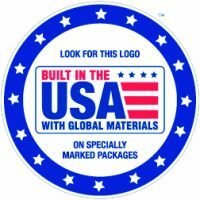 To be the Premier market provider of quality products and value-added services to our customer. Enhancing our customers’ building project experience by adding value. We do this by building relationships with our customers in order to help them achieve their project goals with a teamwork oriented staff, quality products and outstanding customer service. Builders is committed to providing an ethical work environment that promotes diversity, promotes transparent communications, and provides opportunities for professional growth for our team members as stakeholders in our growth. We are a family oriented company where trust is demanded, a strong work ethic is required, and the customer is respected above all. We are committed to and growing, Builders by working to exceed customers’ expectations. Seeking constant improvement to support service and being proactive in meeting our customer’s needs. Hiring and developing customer-oriented team members who enjoy what they do, value a respectful work environment and teamwork. Never do anything that will tarnish the pride our parents have in us. 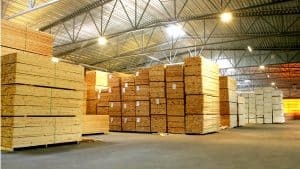 We are very pleased to be among the nationally recognized lumberyard and home centers that are continuing to grow and expand. Over the past 35 years we have been the fortunate recipients of many local, regional, and national awards from industry publications and professionals. There are many exciting and new opportunities for the company over the next several years. We hope that you continue to partner with us and enjoy the ride. Builders and Spelts Schultz as a company have proudly adopted and donate to the Wounded Warrior Project in support of our Veterans and families that have made the ultimate sacrifices in order to keep our families, friends, and team members safe. We are forever indebted to ALL Veterans and their families for our freedom.